March 26, 2001  The legendary alto sax player began playing saxophone at the age of 15 in native New York City. Schooled in bebop at the start of his career, McLean names Coleman Hawkins, Lester Young and Charlie Parker as influences. He's played with jazz greats pianist Bud Powell, Miles Davis and Charles Mingus. He continues to play and record today. He also teaches music at the University of Hartford. May 17, 2012  Steve Lehman's new album Dialect Fluorescent ends with a song called "Mr. E," a composition written by jazz legend Jackie McLean. But the connections run deep between Lehman and the alto saxophonist he considers a personal hero. 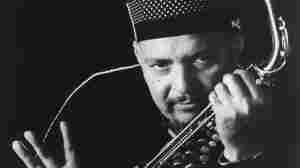 August 1, 2001  Alto saxophonist Jackie McLean wrote the liner notes for Let Freedom Ring, proclaiming that bebop artists could break away from the genre and develop their own sound. McLean did just that, creating an intense, distinctive style that diverged from his early "hard bop" years in Art Blakey's Jazz Messengers. 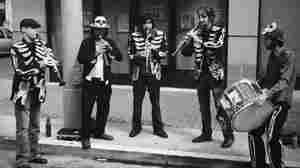 A real skeletal jazz band. October 27, 2011  Dig the grave, gone sounds of some wickedly good music, including a brass-filled "Thriller." February 1, 2011  Dekker plays drums in the innovative black-metal bands Agalloch and Ludicra, but says that before he'd ever heard Kiss, "there was only Coltrane." Find out which Mingus album he calls a "Lovecraftian noir soundtrack" and more with Dekker's favorite five jazz records. July 30, 2008  In nearly six decades of performing, the alto saxophonist lived a quintessential jazz survivor's life. The bebop veteran emerged from the shadows of Charlie Parker, as well as heroin addiction, to make music bristling with passion and directness. 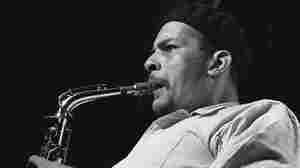 August 18, 2006  Jazz critic Kevin Whitehead reviews It's Time, a new reissue of a classic '60s jazz album from the late alto saxophonist Jackie McLean.